The Governing Council of ASDC comprises of eminent industry leaders and professionals, responsible for driving forward the strategic direction of the organisation towards achieving the ASDC purpose. 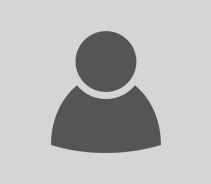 Joint Managing Director, Sansera Engineering Pvt. 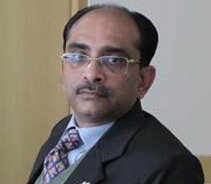 Ltd.
Mr. F. R. Singhvi, President, Sansera Engineering Ltd., is the President of Sansera Engineering Ltd an Engineering company manufacturing precision machined and forged components for Auto and Aerospace sector having its operations across India and Sweden . It is a major global player in its niche products namely Connecting Rods, Crank Shafts and Rocker Arms. 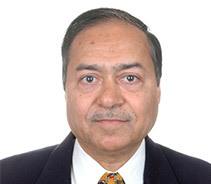 Singhvi is a founder Director in M/s Mulder India Pvt. Ltd., a world-class unit for manufacture of ceramic Decals and M/s Exdion a KPO company. On the social activity front Singhvi manages Sansera Foundation which is involved in improving the lives of over 5000 children studying in 28 government schools. Improving Environment by way of lake development and tree planting. Singhvi is managing an Artificial Limb Centre’s for Karnataka Marwari Youth Federation since 1982, having fitted over 50000 limbs and callipers free of cost. Singhvi is a member of the working group in running a 30 bed D R Ranka - KMYF Dialysis Centre for economically weaker section in Bengaluru, which provides the dialysis facility for the needy people at highly subsidized rates. Singhvi as member of Rotary is involved in a project called MAANSI recognized by WHO in providing treatment to the depressed women in over 200 villages in rural Bangalore and is expected to be launched in different parts of the world very soon. 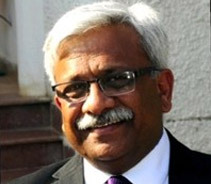 Mr. N.V. Balachandar, is currently President-HR, Communication and CSR at Ashok Leyland, one of India’s largest Commercial Vehicle industries. He is a member of the key leadership team providing functional leadership to all manufacturing plants and divisions across all geographies. He is a collaborative HR leader with proven capability in delivering people objectives in line with the business strategy. 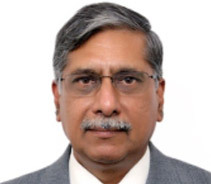 A HR Professional with versatile experience in the Services/ FMCG and the Manufacturing sectors, he has held senior positions in organizations such as Aditya Birla group where he was Chief People officer, India Today, Seagram India and the Taj Group of Hotels. 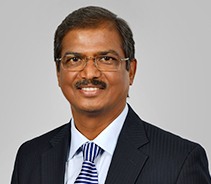 In addition to the above, he holds various portfolios in different industry bodies- Chairman-Human Capital Group, SIAM (Society of Indian Automobile Manufacturers), New Delhi-Elected Member of CII Southern Region, Chennai and Executive Committee member of EFSI (Employers’ Federation of Southern India), Chennai. In his free time, you can find him keenly observing the heritage architecture of ancient temples, tee-ing off at a golf course or immersed in a biography. 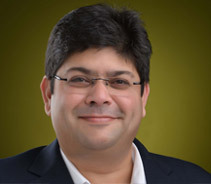 Mr. Sethi is the Chief Information Officer, Head Corporate Social Responsibility (CSR) and Head Human Resources at Hero MotoCorp Ltd. – World’s largest two wheeler manufacturing company. He also leads innovation efforts in the company. He also serves as a Board Member of M/s HMC MM Auto Ltd. (A joint venture of Hero MotoCorp and M/s Magneti Marelli of Italy). 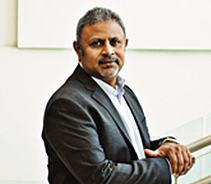 Rated as India’s Best CIO, he has won several prestigious recognitions including CIO of the year, CIO Hall of Fame, Super League CIO, Champion CIO, Global CIO, Global CIO Hall of fame, Most Influential CIO, Innovative CIO, Most Respected CIO, India’s Best IT Manager, Eminent CIO of India and many others. Mr. Sethi has also featured in the CIO Power List for 2015, 2016, 2017 and 2018. 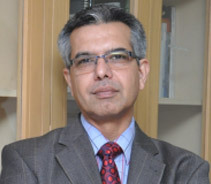 He has been recognised as a CSR Thought Leader and has also won numerous CSR recognitions & awards including being rated as India’s Most Innovative CSR Leader, Outstanding CSR Leadership award and has featured in the list of India’s 50 most talented CSR Leaders and World’s Top 100 Most Impactful CSR Leaders. 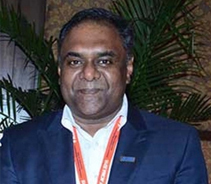 He is a member of various national forums including Chairman of IT committee of Society of Indian Automobile Manufacturers (SIAM), Member CII’s National Committee on IT and ITeS, Co Chair CII National Committee for CIOs, and Board member of SAP India User Group (INDUS). He is on the advisory councils of several leading organizations. 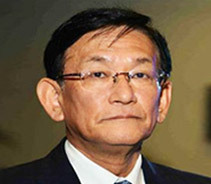 And also is chairman of CSR & Sustainability Forum of National CSR Network. 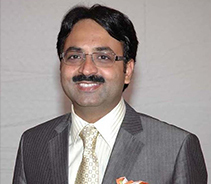 A regular speaker at various institutes and forums, Mr. Sethi holds a Masters Degree in Industrial Engineering, an MBA in Materials Management and a Bachelors Degree in Mechanical Engineering. 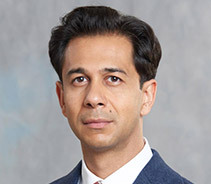 Apart from this he has attended leadership programs organized by leading global institutes including Harvard Business School, Indian School of Business and also has a number of certifications in various areas of management and IT. 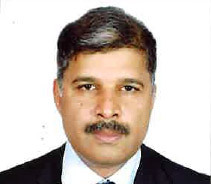 Mr. Sailesh Shetty is the Vice President at Toyota Kirloskar Motors and with the company since inception. He holds a B. Tech from NIT Calicut. Joined TKM in 1999 as Regional Manager sales & subsequently responsible for National Sales Operation till 2014. From 2015 moved to Human Resources & services, responsible for Human Relations, Employee Relations, Training & Administration. 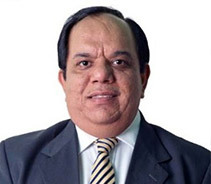 Started his career as GET with TVS Motors from 1985 till 1993. From then on in Tata Motors before joining Toyota Kirloskar Motors in 1999. Ms. Shradha Suri Marwah is an economics graduate from Delhi University with Masters in International Marketing & Information Technology from London, UK. She joined Subros in 2000 after a short stint with Six Continents, UK and Reebok India. 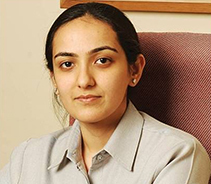 She has more than 11 years of experience in Automotive and Telecom industries. She is a critical part of the change management process in Subros and is responsible for strategy formulation and deployment. B.E. (Mech) from IIT Roorkee (1969). M.B.A. from IIM Ahmadabad (1971), Worked with Tata Motors, Pune from 1971-78, Eicher from 1978-2000) and Hindustan Motors from year 2000-04. Participated in TQM programme conducted by Dr. Deming and Executive Development programme at Harvard Business School. Was President of Tractor Manufacturers Association of India and Member of National Council of CII. Was awarded Distinguished Alumnus Award of IIT Roorkee in year 2012. President of IIT Roorkee Alumni Association since year 2017. Area of special interest - Organisation and People Development.